Many complementary medicine approaches involve advice on diet, but in recent years nutrition has developed into a therapy in its own right. By analysing a person's diet and tailoring it to their individual needs - rectifying any vitamin, mineral and other nutrient imbalances - nutritional therapists seek to alleviate and treat common diseases and promote health. History and theory diet has always been a part of medicine and healing, and is a feature of all traditional medicine systems. However, dietary and nutritional advice and therapy have become much more specific following scientific advances in the understanding of essential nutrients and their functions. In the early part of the 20th century, biochemists began to isolate individual vitamins and minerals and determine their importance. Later research has focused on the role of amino acids, enzymes, friendly bacteria in healthy digestion, antioxidants in slowing ageing and preventing cancer. The body requires essential macro and micronutrients in order to sustain life and health. The macronutrients are carbohydrates (sugars and starches), proteins (including amino acids), fats (including essential fatty acids) and fibre. 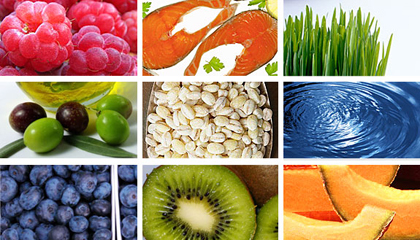 The micronutrients are vitamins, minerals and trace elements. The body can't manufacture these micronutrients itself, so they must be obtained from the diet. Poor diet, increased intake of junk food, a decrease of nutrients in the soil, chemical farming methods, global pollution and high-stress lifestyles are all thought to play a part in nutritional deficiency, which is becoming increasingly common even in the developed world. Individual needs for different nutrients have also been shown to vary widely. Careful dietary adjustment and/or nutritional supplementation can therefore have a huge impact on health. What's Nutrition Testing good for? Certain diseases appear to be linked to particular nutritional deficiencies. Replenishing these nutrients, through food or supplements, facilitates changes at a cellular level and can help to restore a more natural body function. For example, studies have shown that prostate problems may be linked to zinc deficiency, PMS may be affected by vitamin B6 deficiency and folic acid deficiency in pregnancy may contribute to birth defects such as spina bifida. Nutritional therapy has been shown to be beneficial for many conditions, especially heart disease, arthritis, digestive complaints such as constipation or irritable bowel syndrome, gout, asthma and diabetes. It's also used in the treatment of hyperactivity in children, chronic fatigue and obesity. Also the correct nutrition is crucial during pregnancy.